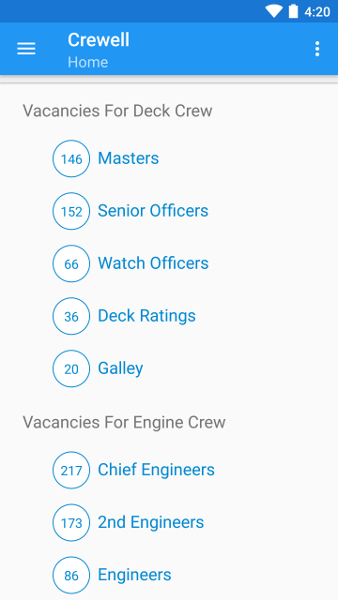 Looking for a job at sea? 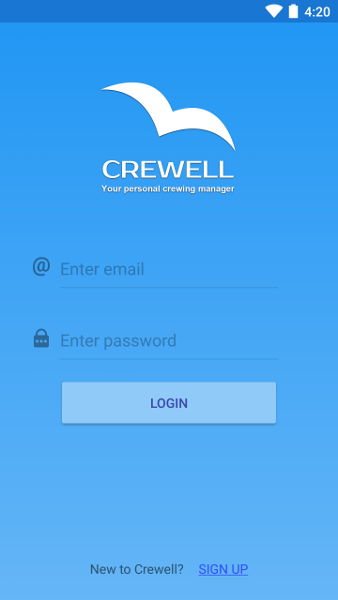 Look no further - find everything you need to boost your marine career with Crewell Mobile for Seamen, which provides you with Crewell platform essentials in a single app. 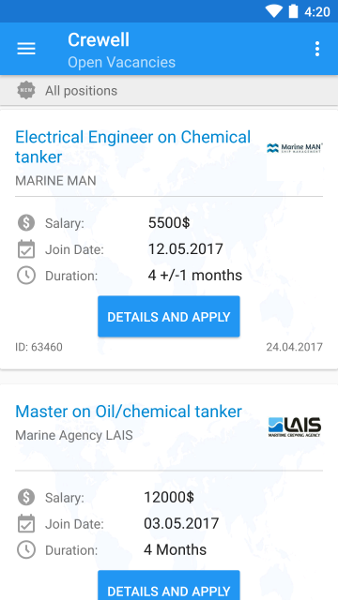 Seafarers get an opportunity to keep up with the current world crewing situation and not to miss out on any relevant job offers. 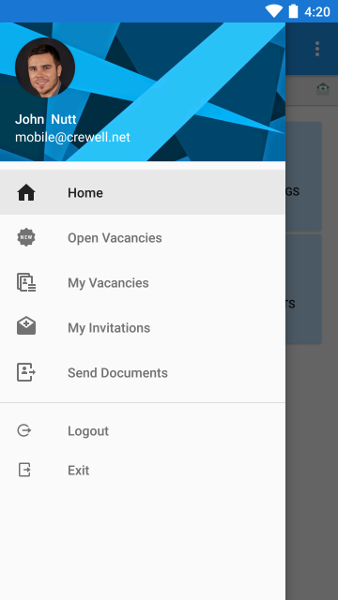 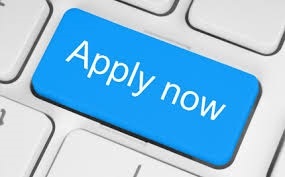 Get an instant access to a global network of vacancies provided by crewing Companies and Shipowners from all parts of the world. 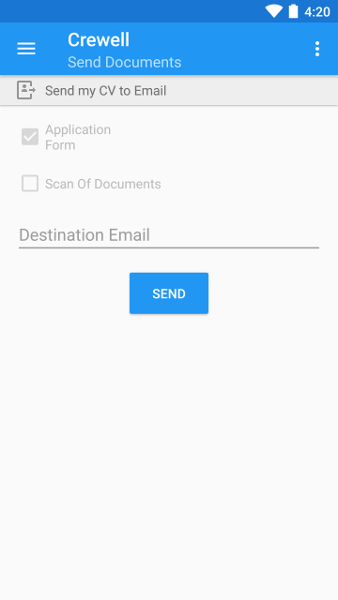 Geography and time are no longer obstacles. 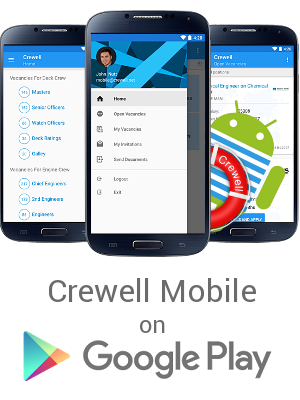 All within your Android device! 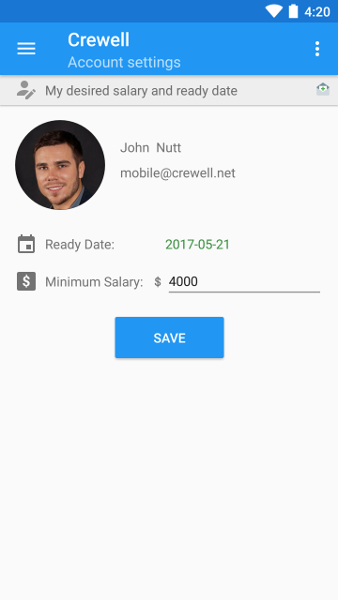 We'll be constantly adding new features to Crewell app to bring you a better experience and help you advance your career even faster.